Hanoi (VNA) - The International Association of Athletics Federations (IAAF) has announced that the 4x400m medley category for mixed teams will be included among the track events at the Asian Games (ASIAD) 2018 and 2020. According to Nguyen Manh Hung, Deputy General Secretary of the Vietnam Athletics Federation (VAF), this is the first time this event has been included in the ASIAD and Olympic Games. However, it has been run in continental and world tournaments with different distances: 4x400m, 4x800m and 4x1500m. At present, Vietnam has a national mixed team of 4x400m medley category with male athletes of Luong Van Thao, Quach Cong Lich, Phan Khac Hoang, Vu Van Son and Nguyen Huu Tuong; and female athletes of Nguyen Thi Huyen, Nguyen Thi Oanh, Can Thi Thuy, Nguyen Thi Hang, Hoang Thi Ngoc and Quach Thi Lan. Among the athletes, Lich won a silver medal in the Southeast Asian (SEA) Games in Singapore in the men’s 400m hurdle in August. While defending Asian champion Huyen won the 400m hurdles, 400m and 4x400m relay in Singapore. 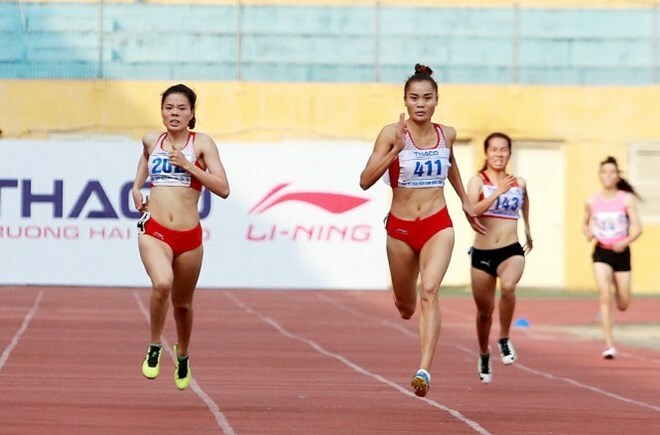 Duong Duc Thuy, head of the athletics section of the National Sports Administration, said the two best male and female athletes will be selected to compete in the ASIAD 2018.